The Appellate Division of the Supreme Court yesterday upheld the High Court order that had granted bail to BNP Chairperson Khaleda Zia in a case filed under the Explosive Substances Act over the arson attack in Cumilla on January 25, 2015. The seven-member bench of Appellate Division led by Chief Justice Syed Mahmud Hossain passed the order following a petition filed by the state. 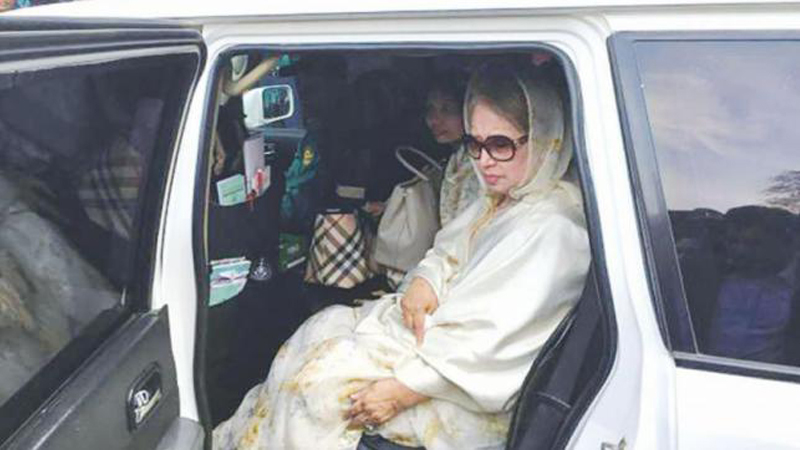 On November 28, the HC bench of Justice AKM Asaduzzaman and Justice SM Mozibur Rahman granted bail to BNP Chairperson Khaleda Zia in the case. On October 15, Khaleda's lawyer filed a bail petition with the High Court after the Special Judge Court-1 of Cumilla denied the former prime minister bail on September 13 in the case. The HC accepted Khaleda's appeal for hearing and issued a rule seeking explanation as to why she would not get bail on October 24. On 25 January 2015, a covered van was set on fire at Haiderpool of Chouddagram municipality on the Dhaka-Chattogram highway.